Rajesh Raghavan currently works as senior software engineer at Aero Systems Engineering. INVER GROVE HEIGHTS, MN, August 17, 2018 — Marquis Who's Who, the world's premier publisher of biographical profiles, is proud to present Rajesh Raghavan with the Albert Nelson Marquis Lifetime Achievement Award. An accomplished listee, Mr. Raghavan celebrates many years' experience in his professional network, and has been noted for achievements, leadership qualities, and the credentials and successes he has accrued in his field. As in all Marquis Who's Who biographical volumes, individuals profiled are selected on the basis of current reference value. Factors such as position, noteworthy accomplishments, visibility, and prominence in a field are all taken into account during the selection process. Throughout his career, Mr. Raghavan has demonstrated an academically-grounded skill set. Inspired from a young age to pursue engineering professionally, he prepared for his career by earning a Bachelor of Science at Massachusetts Institute of Technology in 1992. He followed this accomplishment with a Master of Science from the University of Arizona in 2008 and a Master of Science from John Hopkins University in 2013. 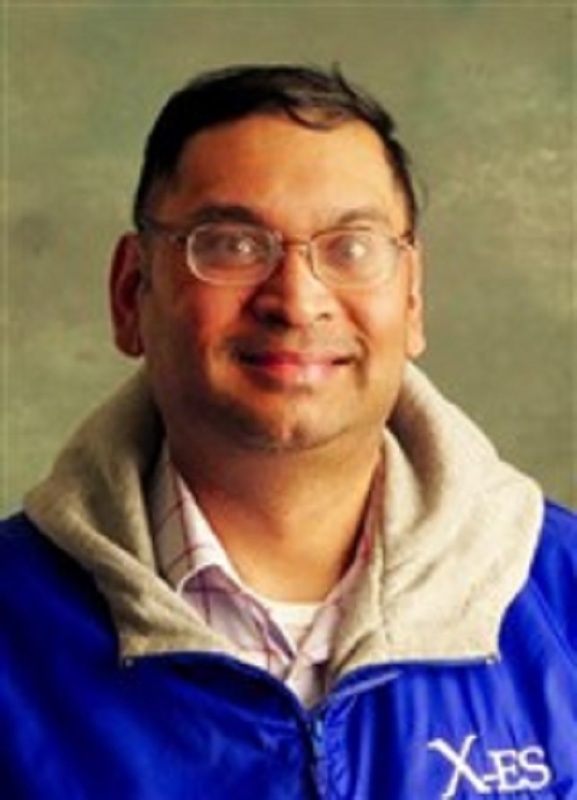 Applying knowledgeability to all of his endeavors, Mr. Raghavan's professional journey has encompassed work for Extreme Engineering Solutions as an embedded engineer, MITRE Corp. as a wireless networking engineer and Aero Systems Engineering, where he currently works as senior software engineer. Mr. Raghavan started out as a member of the technical staff at Paradyne in 2000, and progressed to numerous other organizations, notably including the Analex Corp. NASA Glenn Research Center from 2001 to 2005. He also contributed his skills to the University of Dayton's LADAR & Optical Communications Institute in 2010 as a visiting scientist. Due to his dedication to his field, he maintains memberships with the Institute of Electrical and Electronics Engineers and the Optical Society of America, and has a history of involvement with the Armed Forces Communications and Electronics Association. Wielding professional flexibility, Mr. Raghavan's interests and abilities extend beyond the engineering arena, and he has noteworthy experience expressing political opinions in the Baltimore Sun. His commitment to civic involvement also stands out, and he was a member of the Kiwanis Club of Olmstead Falls from 2003 to 2005, President of Lakewood, Ohio Jaycees in 2004 and candidate for city council in Olmstead Falls in 2005. He remains a member of the Military Officers Association of America due to his experience as Second Lieutenant of the US Air Force from 1993 to 1995. In recognition of outstanding contributions to his profession and the Marquis Who's Who community, Mr. Raghavan has been featured on the Albert Nelson Marquis Lifetime Achievement website. Please visit www.ltachievers.com for more information about this honor.